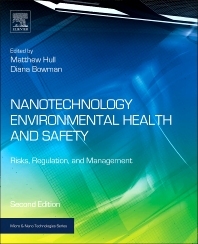 Researchers in academic and national laboratories, Regulators at the state and federal levels, Business professionals involved in development, manufacturing, and commercialization of emerging nanotechnologies, Risk managers and insurance professionals. Matthew Hull is Associate Director for Innovation and Entrepreneurship with Virginia Tech’s National Center for Earth and Environmental Nanotechnology Infrastructure (NanoEarth). Hull is also president and owner of NanoSafe, Inc., a provider of nanotechnology human and environmental health and safety services he founded in 2007. He received his PhD in Civil and Environmental Engineering and an MS in Biology from Virginia Tech. He received his BSc In Environmental Science from Ferrum College. President and Owner, NanoSafe, Inc.
Diana M. Bowman is an Andrew Carnegie Fellow, an Associate Professor in the Sandra Day O’Connor College of Law, where she serves as the Associate Dean for International Engagement, and the School for the Future of Innovation in Society, where she serves as the Associate Director for Students, at Arizona State University. She is also a visiting international scholar in the Faculty of Law at KU Leuven. Bowman’s research has primarily focused on the legal and policy issues associated with emerging technologies and public health law. Bowman earned her BSc (Physiology), a LLB, and a PhD in Law from Monash University. In August 2011, she was admitted to practice as a Barrister and Solicitor of the Supreme Court of Victoria.